By Democractic Audit: One of the most contentious pieces of legislation to be put before Parliament – the EU (Withdrawal) Bill – now faces scrutiny and probable amendments in the Lords. From a human rights perspective, writes Joelle Grogan (Middlesex University), one of the most concerning aspects of the Bill is the exclusion of the European Union Charter of Fundamental Rights from the corpus of EU law to be incorporated into UK law. She assesses the arguments being made to exclude it, concluding that the only plausible explanation for rejection of Charter rights is the rejection of rights. The EU Charter of Fundamental Rights holds the same status as the EU treaties upon which the entire EU legal system is based. It has become the primary source of fundamental rights in the EU under the Lisbon Treaty. The proposed excise of the Charter has been celebrated as the removal of alleged ‘flabby Euro-rights’ by some Brexiteers, and reviled as weakening rights protection in the UK by NGOs, lawyers and academics. 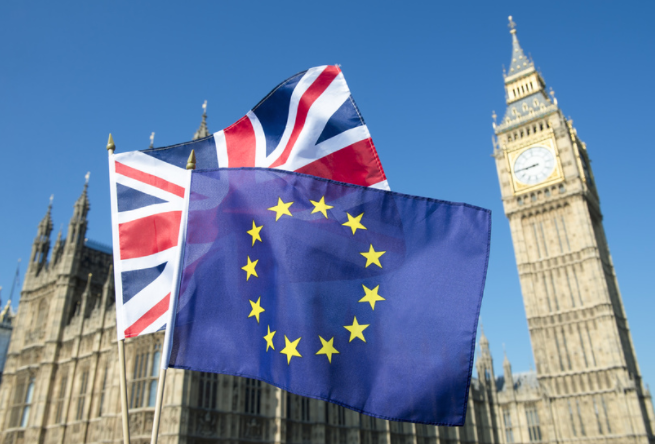 An amendment tabled by Labour to retain the Charter was defeated in the Commons, and it is unclear whether the Lords will again try to add an amendment ensuring the EU Charter survives the Bill. The EU Charter is binding on all EU institutions as part of the EU’s constitutional framework, and all legislative measures must comply with it. The Charter applies to Member States only where they are acting ‘within the scope of EU law’. Simply, this means that if a provision of an EU law of any status (other than an article of the Treaties) violates a fundamental right, it will be held invalid by EU courts; or, in the case of national laws which fall within the scope of EU law, they will be set aside by national courts. The good argument for the removal of the Charter in the EU (Withdrawal) Bill is that the Charter is designed to operate only within the scope of EU law. Therefore, it will have no relevance after Brexit as the UK will no longer operate within that scope of authority. There are two responses to this argument. The first is that the Charter will continue to have relevance to retained law, particularly where retained EU law, or pre-Brexit UK and CJEU case law, contains explicit reference to Charter rights. This is recognised by the Bill, Clause 5(5) ‘references to the Charter in any case law are, so far as necessary for this purpose, to be read as if they were references to any corresponding retained fundamental rights or principles’. The complication this clause aims to resolve leads to the second response: explicitly excluding the Charter in the interpretation of retained law, and in litigation concerning former Charter rights, will cause significant confusion and uncertainty in practice, as Courts and litigants must rely on the ambiguous authority of ‘underlying’ rights to found in a multiplicity of sources. The more sensible approach, advocated here, is to incorporate the Charter in the same way as that envisaged for directly effective EU law, and then leave it to Parliament to determine how the Charter ought to be adapted and reformed to post-Brexit Britain. The removal of the Charter seems anomalous, particularly where the justification offered is that ‘the Charter only codified existing rights’ and that the same level of rights protection will be guaranteed post-Brexit. The main justification offered for the removal of the Charter is that it is not a source of rights, but only ‘reaffirmed the existing legally binding fundamental rights, in a new and binding document’. At face value, this is a non-sequitur. If it were true that the Charter serves only to codify rights which are already binding on actions which fall within its scope, then this would be a reason to incorporate the Charter. Like having an index to a particularly complex textbook, the UK would benefit from such codification as an easy, and accessible source of rights, listed and clarified, for the interpretation and application of retained law. There could be no arguments as to whether a right did or did not exist (as we may imagine will likely arise in future litigation), and the legal certainty for individuals and businesses promised by the EU (Withdrawal) Bill would to this extent be guaranteed. The inverse is argued, however: codification is not relevant as it merely (re)states existing rights. (3) through the common law or domestic legislation. Each of these statements are either untrue or misleading. First, we might wonder how converted EU law will provide (equivalent) protection when EU remedies are systematically removed: the right in Francovich which allows for damages in the event of a breach of EU obligations by the State will end (Schedule 1, 4). General principles of EU law, including recognisably rule of law principles and human rights, are retained in domestic law (only if acknowledged by pre-exit case law) but given no right of action, nor is any court or tribunal permitted to disapply any rule of law or quash any conduct (Sch 1, 5). All of this leads to two essential questions – if these rights are not recognised as rights elsewhere in EU or UK law, will they be rights after Brexit? And how does this guarantee the same level of rights protection? Some accuse the Charter of containing ‘flabby Euro-rights‘, preferring the ‘tried and tested’ European Convention which enshrines ‘basic, fundamental’ rights. The Charter is a source of rights, and (importantly) a source of additional rights which do not exist in the European Convention on Human Rights or in the common law. There is nothing particularly Euro-centric about these rights, and they can be relied upon by anyone – EU citizenship is not a condition. Nor is it surprising that rights have developed as times have changed. Before the internet, and the capacity for mass collection of personal and sensitive data, there was no need to recognise a right to data protection. The prohibition on human cloning was not necessary before it was possible to do so. A second argument for the removal of the Charter is that the ‘extra layer of rights’ and fees they bring to lawyers will be removed. As a first point, one might argue that current provisions for legal aid do not support that assertion; and the uncertainty created will likely lead to more litigation as courts are called upon to resolve uncertainties. Second, and more importantly, rights are no more for lawyers than product safety standards or traffic regulations are. They exist to protect individuals. Most of us will benefit from invisible rights protection, as embedded protections serve to guarantee good administration and democratic participation and governance. It is the minority who will need to actively litigate, as ultimately, rights are most valuable to the most vulnerable – for example, to care home residents, the disabled and their families, and victims of human trafficking. The third assertion is that the Charter is a ‘Brussels project’ that aims to take power away from Member States. Human rights were recognised by judges in the Court of Justice of the EU (in Luxembourg), as part of the constitutional framework of the now-EU in 1969. This arose from concerns about the impact of solely economic considerations for market integration on citizens’ rights – as well as the concerns of Member States that what is now EU law would not ensure fundamental rights were protected effectively, and that it could come into conflict with fundamental rights protections guaranteed by national constitutions. The Charter, in excellent synopsis here, was written within an open, democratic and transparent process. British concerns were recognised for the extension of the jurisdiction of the CJEU were addressed in Protocol. Changing its status to become the source of fundamental rights in the Lisbon Treaty could only be achieved through unanimity among all EU Member States. ‘Brussels’ didn’t have a vote. The arguments – the good, the bad and the ugly – for the removal of the Charter succeed in masking the most important operation of the Charter: the removal of a highly effective remedy which has no equal in the current framework of rights protection in UK law. DExEU’s Right by Right Analysis identifies domestic routes of challenge as judicial review, under the Human Rights Act 1998, or a claim under the common law. Executive action and secondary legislation may be struck down under a successful judicial review claim, while the Courts may issue a declaration of incompatibility where it not possible to interpret primary legislation in a manner which does not violate a right under the Human Rights Act 1998. The Right by Right Analysis offered an example of how remedies will continue after Brexit under the Human Rights Act 1998. Curiously, the example given, Benkharbouche, epitomises the difference in effect between the Human Rights Act 1998 and the EU Charter. The UK Supreme Court recognised that both the right to access a court (Art. 6 ECHR) and the right to a fair trial and effective remedy (Art. 47 EU Charter) had been violated. In the event of this unavoidable violation of ECHR rights, the Supreme Court issued a declaration of incompatibility to Parliament. However, as the provision of UK primary law was also found to be in violation with EU Charter rights, the section of primary legislation could not be applied (though this is not the same as it being ‘struck down’ or declared invalid). Evidently, while it contains interpretive duties, the Human Rights Act 1998 does not provide equivalent levels of protection as are guaranteed by the EU Charter. This will be a significant loss for effective protection of rights post-Brexit in the UK. Some argue that too much fuss is being made over a Charter for a few rights more. For all the concerns raised over legal uncertainty arising from Brexit, the UK will hardly turn into the Wild West. However, no reasonable argument for rejecting the Charter has been given: the only plausible explanation for rejection of Charter rights is the rejection of rights. In removing the Charter through operation of the EU (Withdrawal) Bill, a vacuum could be created: a lack of certainty, a loss of protection, and a silence where there was once an acceptance and commitment to protection of individual and fundamental rights.